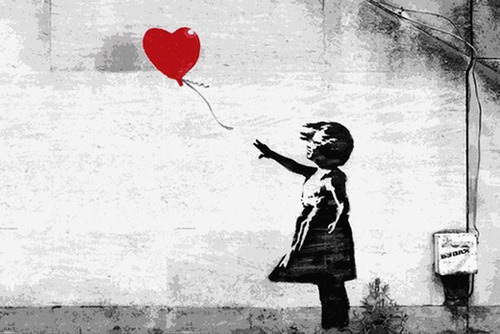 Who is Banksy? That’s the question. 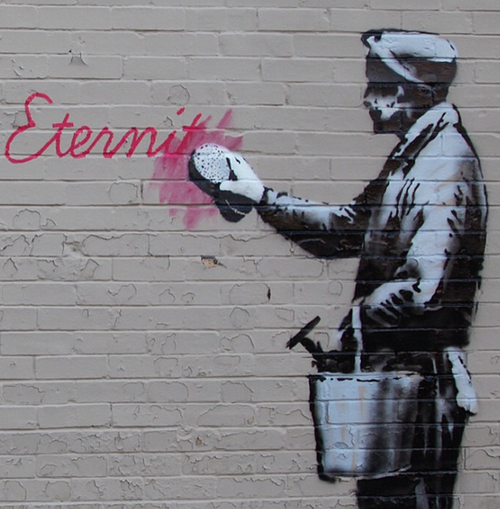 It’s a pseudonym of a graffiti artist in the UK, but he’s much more than that. He’s a political activist, a film director, an artist, a friend, and a painter. 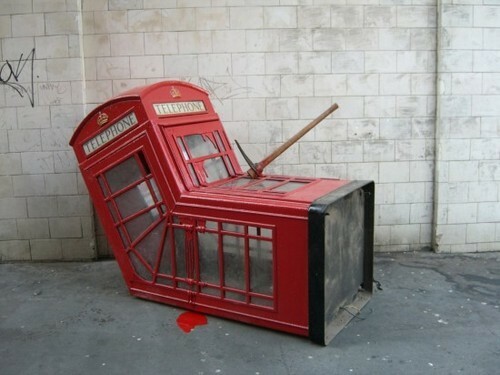 His satirical street art combine dark humor with political and social commentary that is featured worldwide. He began as a freehand graffiti artist in 1990, and it wasn’t until 2000 that he turned to the art of stenciling, the artwork he is known for today. He recounts that he decided to begin stenciling while he was hiding from the police under a rubbish lorry, when he noticed the stenciled serial number. That’s all it took to change his mind. 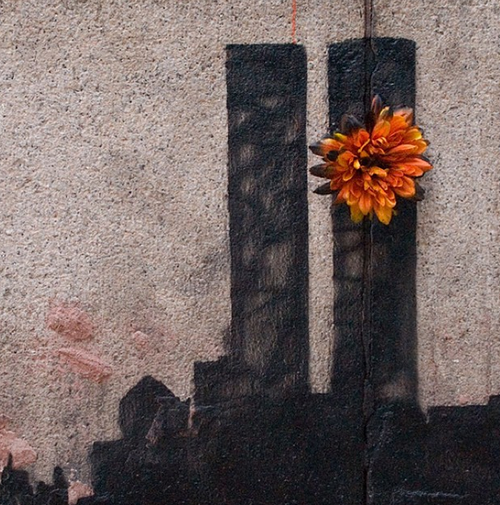 Here are the top 19 places Banksy has invaded London and New York throughout his career. 1. 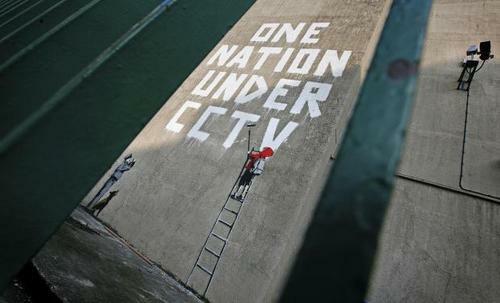 This may be one of the most recognized Banksy pieces (even though it has since been removed), the artist took to London in April 2008 to paint “ONE NATION UNDER CCTV”, commenting on the UK’s newly adopted practice of watching their people under CCTV. The best part? 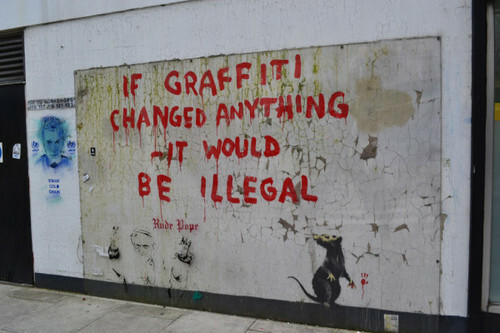 Banksy had to scale a wall and put up scaffolding to build the project, which so happened to be located right next to CCTV cameras that ironically failed to capture the artist. 3. Analyzing the meaning behind “There is always hope”. Seen by the Waterloo Bridge. 5. 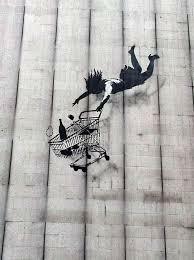 Rich woman falling from a height with her shopping goods on an abandoned building in upmarket Mayfair. 6. 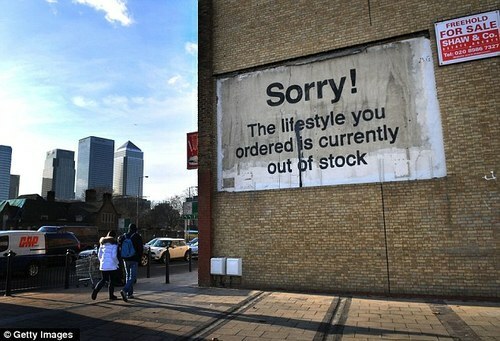 “Sorry, the lifestyle you ordered is currently out of stock!” on an abandoned building close to Canary Wharf. 7. Located on the side of a working mans club at the corner of Pollard Row and Pollard Street. 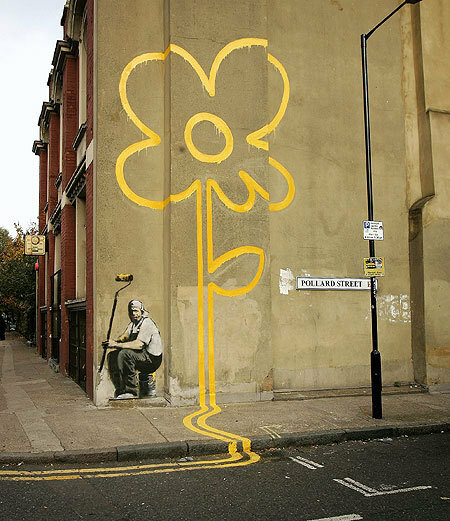 Some of the building has been destroyed and painted over, but the flower is still visible. 8. 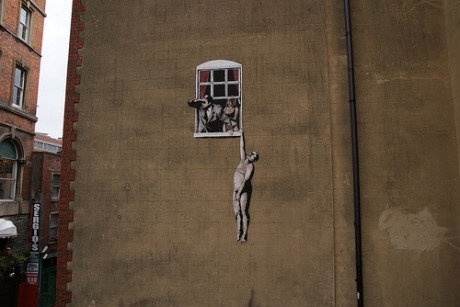 “Well Hung Lover” Located on Park Street, in Banksy’s hometown, Bristol. 9. Located in The Grange, Camberwell Southwark, London. 10. 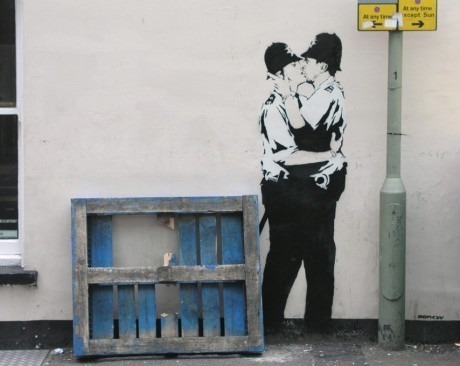 “Kissing Coppers”. 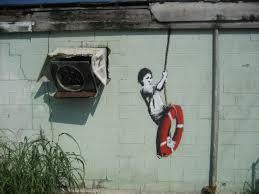 This is one of his best-known pieces, and is located on the side of the Prince Albert pub, Trafalgar in Brighton. 1. Found in Queens, Eternity does not mean forever. 2. 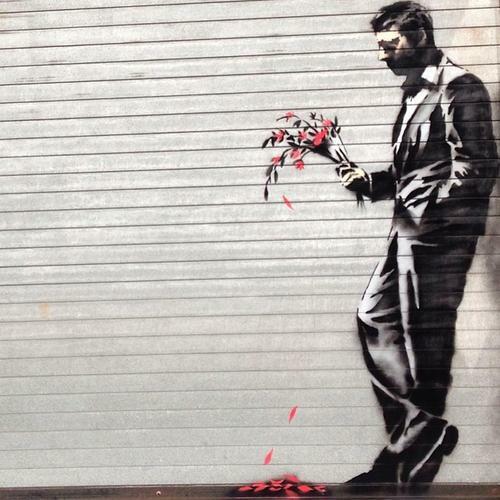 Found in Tribeca, Beautiful and sad all at once. A tribute to 9/11. 3. 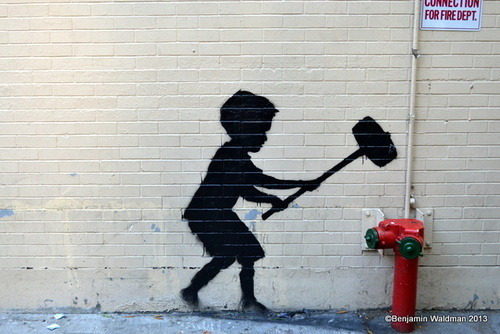 “Hammer Boy” found on the Upper West Side. 4. 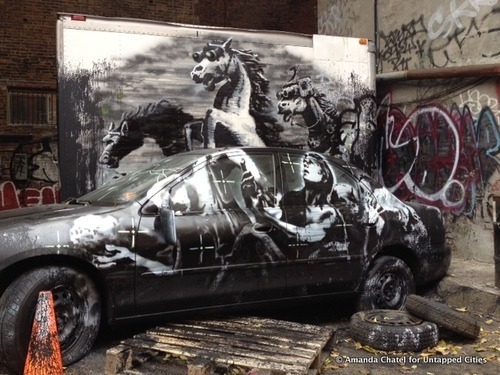 “Night Vision Horses” on a car on Lower East Side. 5. 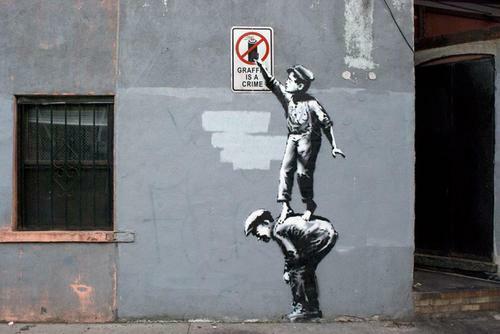 “Graffiti is a crime” was originally on Allen St in New York, but has since been removed. 6. “Ghetto For Life” on 153rd Street (Third Avenue) is now covered by huge shutters, with no clue as to when it will be uncovered. 7. 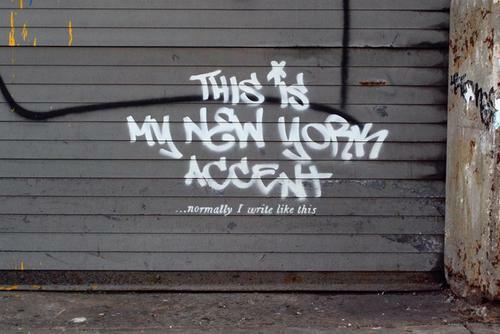 “This is My New York Accent” was originally drawn on W 25th St (btwn 10th and 11th, but has since been removed. Here are two pictures, one of the original, and one of the result a month after it was published. 8. This painting has since been removed, but there’s rumor that the Hustler’s Club (where the graffiti was originally plastered) will be displaying it in the future. Found on W 51st St (12th Avenue). The coolest part? The display was made with real rose petals found from the street. 9. 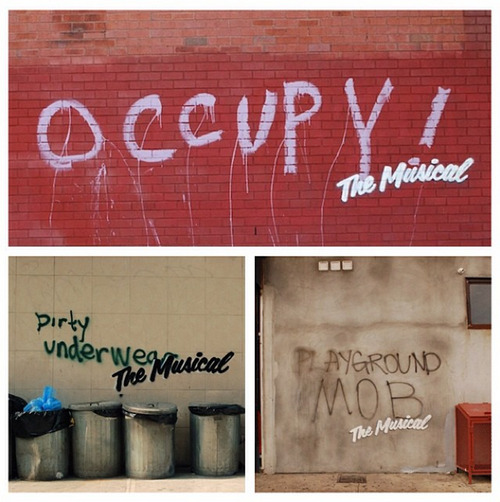 Banksy decided to show some more originality by posting THE MUSICIAL! 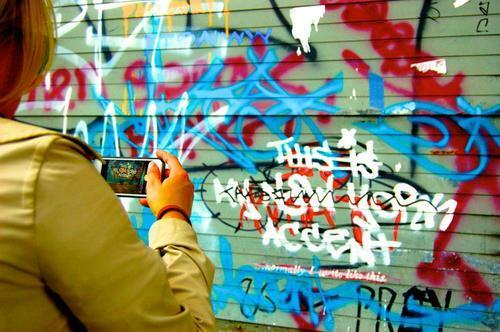 underneath odd pieces of graffiti that he found around New York City…many of them have since been removed, but here are some examples. 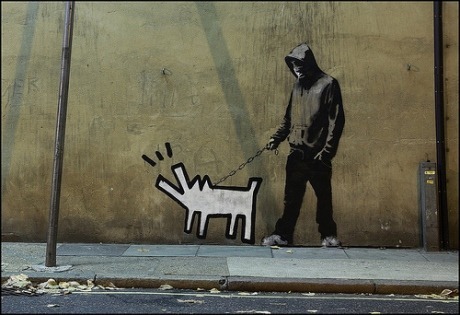 What are your favorite Banksy pieces? Have you seen any of them in person? Do you have anything to add? Let us know in the comments, we can’t wait to hear back from you! Make sure to follow us on Facebook, Instagram, and Twitter! 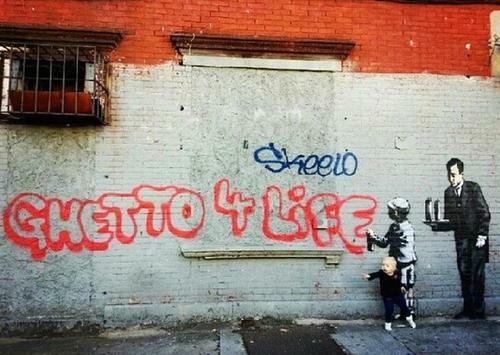 4 August 2014 | Filed under Uncategorized.